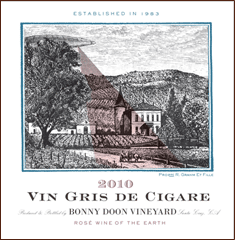 Another wine, a rosé this time, in Randall Grahm’s own idiosyncratic style. Lovely nose of strawberry, melon, and flowers with a hint of vanilla at the back. Very expressive on the palate, especially for a rosé, with sweet but not cloying fruit notes, with a spine of acid and mineral running through it. Finishes long and clean. Not a wuss rosé and may be just the thing for your summer guests who are rosé-shy (if, like me, they’ve been subjected to too much bad rosé). Try with grilled shrimp. Highly recommended. congrats. 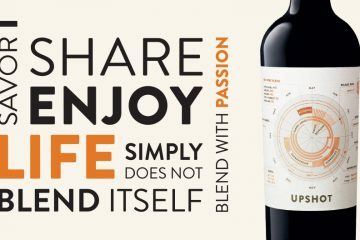 This was Simple Hedonisms wine of the week, April 20th. Oddly, my review was submitted to you April 21st to be published, but was preempted by your own. Which seems to be all you publish these days. Sad they are only reviewing “media samples”. Ken, that’s not actually true. However, we do work to meet our ethical obligations to let readers know when we are tasting media samples. I take exception to that statement, Mr Volk, for the same reasons stated by David Honig. As for my reviews, let me specify that 13 out of my last 15 reviews on Palate Press were not – repeat, were NOT – media samples. You should exert care and verify information before making such false statements. For reasons beyond my comprehension, people seem put out by the above review and award. As Publisher of Palate Press: The online wine magazine, please allow me to state the following. First, while we do sometimes post guest reviews, we generally prefer to publish our own reviews. They come from our Editorial Board and from our authors. They often flow from the stories we carry. Additionally, we believe it makes sense for our readers to see reviews from a regular group of writers, allowing them to identify the palates that match their own. It is outright peculiar that a publication running reviews of their regular review staff is a basis for criticism. We have, in the past, asked people who we thought were going to be regular Feature writers for Palate Press to send reviews, knowing that their regular appearance on our pages would guarantee an opportunity for readers to become familiar with their palates. That is far different from any obligation to publish guest reviews. Second, I wonder why it is “sad” we are reviewing media samples. We are arguably required under new FTC rules to identify when a review is of a free sample, rather than a purchased bottle. Like many publications, including Wine Spectator, Wine Enthusiast, and others, we receive samples for review. Because they are in print, the new FTC rules do not apply to them. There is a strong argument the rules do not apply to us either, but we see no reason to create such a challenge. When we review such wines we say so. Not just because of FTC rules, but because we think it is the right thing to do. Additionally, the statement we are “only reviewing media samples” is simply false. Of our last dozen reviews, seven were media samples, five were not. At Palate Press: The online wine magazine we strive to offer consistency and transparency to our readers. We have always done so. We will continue to do so.